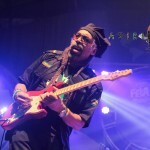 2nd Annual event recognizes Chicago art, civic and business community while offering the finest in African American art . The Harlem Fine Arts Show (HFAS), the largest traveling African Diaspora art show and sale in the United States, will return to Chicago’s Merchandise Mart October 29 -November 1. HFAS was launched in 2009 and held its first event in Chicago in 2014. Since its inception HFAS has had over 60,000 visitors, traveled to more than 10 cities and showcased hundreds of artists and galleries. According to the book Black Chicago Renaissance edited by Darlene Clark Hine and John McCluskey, “…the cultural outpouring that distinguished Harlem in the 20’s swept through Chicago in the 30s bringing with it a prolific period of African American creativity in music, performance art, social science scholarship and visual and literary artistic expression.” The Harlem Fine Arts Show seeks to rekindle the creativity of the period in the context of today’s art scene. The Harlem Fine Arts Show will host an Opening Night Gala Reception on October 29 at 6 p.m. benefiting the North Shore (IL) Chapter, The Links Incorporated. The event will also recognize leaders in the Chicago arts community and will be emceed by Award-winning television journalist and radio host Ed Gordon. Friday, October 30 is designated Youth Empowerment Day when CPS students will participate in tours and seminars from 9 a.m. to 3 p.m. The show Harlem Fine Art Show opens to the public at 6 p.m. with a Salute to African American Business Leaders. Honorees for Friday include Veranda Dickens, Board Chair, Seaway Bank & Trust; Louis Dodd, Allstate Insurance Premier Agency; MerryGreen, MGPG Events, Inc.; Monica Haslip, Executive Director Little Black Pearl; Norma J. Williams, president and CEO of NJW Consulting and media executive Abe Thompson, also a minority owner of the Chicago Sky basketball team. Saturday, October 31 the show opens to the public at 10 a.m. Students, teachers and school administrators will be admitted for half price. The Author’s Pavilion will be open from 1 p.m. -4 p.m., followed by the Arts Lecture Series from noon to 3:30 p.m. Confirmed panelist include Faheem Majeed, Raymond Thomas, Roger Carter, Keon Parsons, William Hill and Ted Ellis. 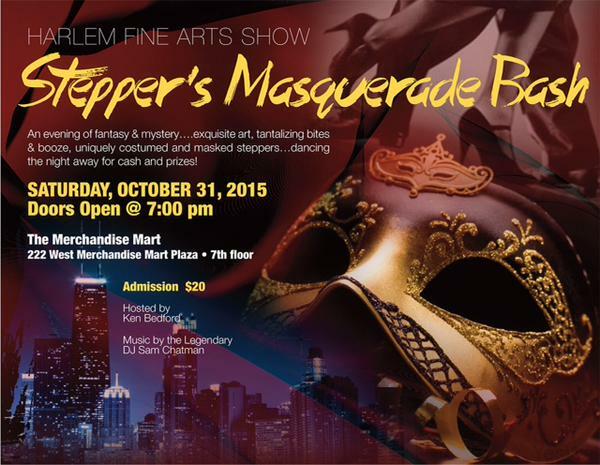 The day will end with a Halloween Masquerade Ball and Steppers Set from 7 p.m. -2 a.m.
Tickets to the Ball and Steppers Set are available separately. “Discussions by the Lake”, a thought provoking open forum about real issues facing the African American community, will also be held on Saturday, October 31 from 4 -6 p.m. 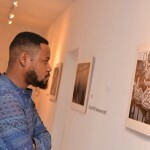 This discussion is quickly becoming a staple of the Harlem Fine Arts Show, with the most recent event held in Washington, D.C. this September. The Forum engages people of all races, ages, colors, creeds, and sexual orientations in discussions about social justice and how they can make a difference in their communities. The topic “Where do WE go from here?” addresses the current landscape of race relations, police brutality and lack of living wages facing multicultural communities across the United States. Moderating this discussion will be Dr. Benjamin Chavis, Jr., former executive director of the NAACP and current head of the National Newspaper Publishers Association (NNPA). Panelists include Rev. Gregory Seal Livingston, president and CEO of the Coalition World (TCW); Arlene Coleman, president of the Cook County Bar Association; artist Raymond Thomas and activist Dometi Pongo. Sunday, November 1 the show will open from noon -6 p.m. and feature a Jazz brunch and performances by noted Chicago Gospel Choirs. Now in its second consecutive year, United has returned as the official airline sponsor of the show, a partnership that has heightened artist participation and access to art enthusiasts and consumers alike. “United Airlines is honored to return as a presenting sponsor of the 2015 Harlem Fine Arts Show, and to support the visionaries and storytellers who help enrich our communities,” said Greg Jones, the company’s managing director for diversity and inclusion. “As Chicago’s hometown airline, we are proud to connect our customers locally and across the globe with experiences like HFAS that inspire creativity and celebrate our diversity. Other 2015 Harlem Fine Arts Show sponsors include Country Financial, Toyota and Morgan Stanley. Half-price Adult Tickets are on sale at Walgreens locations across the Chicagoland region and first time customers to the ride sharing app Lyft can receive a $20 credit by using the code HFAS2015. Visit http://bit.ly/HFAStix for more information or to purchase tickets and follow us on Facebook, Twitter and Instagram using the hashtag #hfaschi. First held in February 2010 in New York City, the Harlem Fine Arts Show has attracted more than 60,000 visitors since its inception. HFAS debuted in Chicago in 2014 and attendees include collectors, art enthusiasts, educators, students, and professionals. Over 80 nationally and internationally known artist, including Leroy Campbell, Paul Goodnight, Michael Escoffery, Frank Frazier, Woodrow Nash, Dane Tilghman, Brenda Joysmith, and Glenn Tunstull have been a part of the show, which also embraces the work of emerging artist. In addition, highly regarded arts establishments including Louisville’s E&S Gallery, Water Kolours Fine Art in Memphis, and New York’s Savacou Gallery have also contributed works to the show. 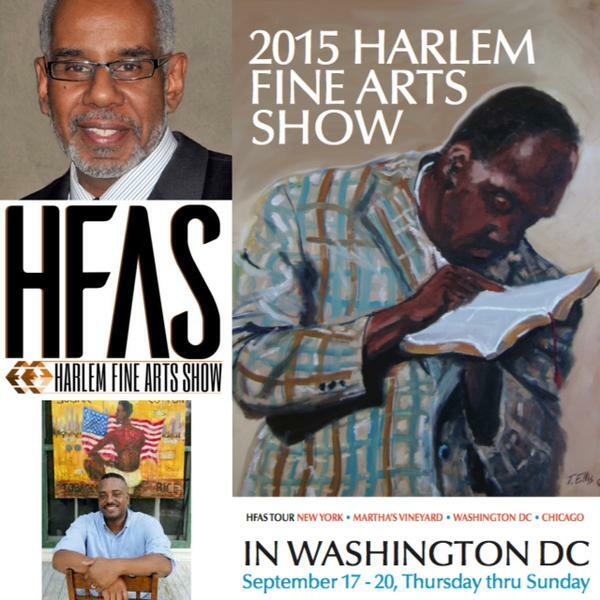 ASIRI is a Media Partner to the 2015 Harlem Fine Art Show in Chicago.